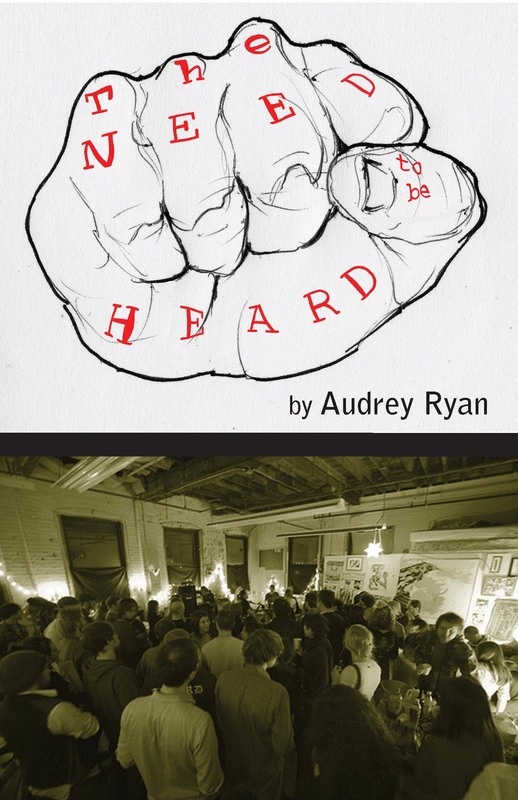 The Need to be Heard – A book for DIY musicians by Audrey Ryan. The Need To Be Heard is a book for and about DIY (“Do It Yourself”) musicians- those artists who do not have big support teams that consist of labels, managers, and lawyers. It is the story of a variety of artists, both known and unknown, all united by a burning desire to be heard. Through interviews with dozens of artists and people in the music industry, and through her own story, Ryan reveals that our experiences in this business are collective in our triumphs and struggles. Audrey Ryan is a New Englander who has performed all around the world, mostly as a “one man-band” multi instrumentalist, using electric guitar, accordion, ukulele, banjo, vibraphone, glockenspeil, drums, and a loop station. THE NEED TO BE HEARD is a book about the nitty gritty aspects of life as a DIY musician. It’s a collection of commentary and interviews with artists and industry experts all orchestrated by seasoned indie songstress Audrey Ryan. Read interviews with artists such as Ian MacKaye (of “Minor Threat” and “Fugazi”), Dana Colley (of “Morphine”), Stephen Brodsky (of “Cave In”) and many many others. Industry interviews disclose inside information on how the music business works and what they are looking for straight from the mouth of top executives and A&R at Rounder Records, ATO Records, Minty Fresh, Asthmatic Kitty, the Windish Agency, Skyline Booking, Pitchfork.com, CDBaby.com, and many others. Plus if you are a musician there are plenty of personal stories to relate to of other touring musician including several comical and sometimes cynical accounts of life as a DIY artist. Links to excerpts of the book in raw form. All links below are in PDF format.